Seven Mile Weddings can put you in contact with our preferred partner Byron Bay Wedding Folk to help you organise your ceremony. You have many options to select from including here in the Seven Mile Venue. Seven Mile Weddings Lennox Head is the premier beachfront wedding reception venue. Specialising in beach themed weddings and receptions overlooking Seven Mile Beach, Lennox Head. More info at bottom of this page. Absolute on location beach wedding with the Lennox Head Point in the background view and the calm waters of the boat channel. A special little natural theatre setting just across on the grass. Sand, sea & the famed Lennox Point in the background. A natural beachfront setting just across the grass. Sand, sea and famed Lake Ainsworth opposite, as well as the Lennox Point in the background. The spectacular location is the jewel in the crown of wedding locations. A special little natural theatre setting right on the grassy headland. Sand, sea and the famed Lennox Point in every shot. This is a beautiful spot on a grassy knoll overlooking Boulders Beach with the Lennox Point in view in the background. 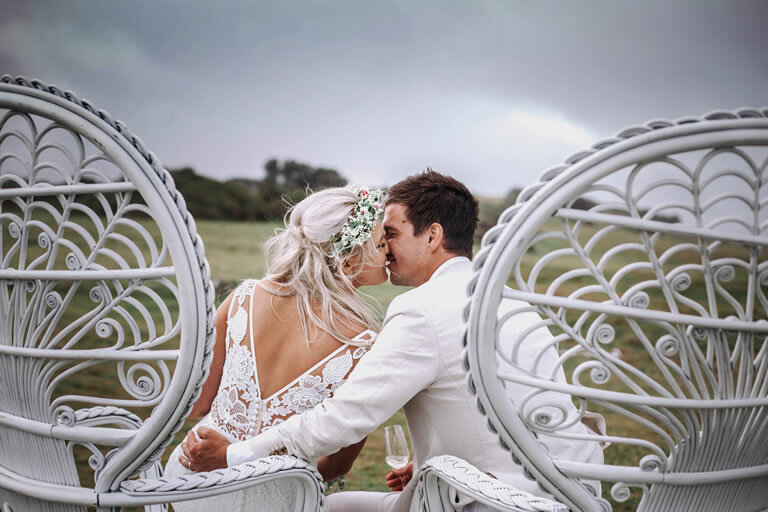 Overlooking the soft white sands of Lennox Head, Beaches, the tea tree Lake Ainsworth, offers the perfect blank canvas to create the wedding of your dreams. The Lennox Head Catholic Church is located adjacent to the Seven Mile Beach in Lennox Head, with ocean views and a grassy flat area, this is the perfect location for a traditional wedding. The Anglican church is located on Byron Street, a few hundred metres down the road.